Novice archeologist Scott Seymour and Curt Lockes uncover the skeleton of a one-of-a-kind fish inside the historic Spanish fort in St. Augustine, Florida. After a friend is brutally murdered, the men discover the creature’s extraordinary past, including its dark link to Florida’s early settlers.Regrettably, with this amazingly knowledge, the truth becomes clear. The historical and theological significance of the find can not begin to offset the horror its misguided use brings.And as a powerful hurricane bears down on the Northeast Florida coast, Scott and Curt must race against time to stop the deadly terror that the Fish has resurrected. Gary Williams resides in Jacksonville, Florida where he has lived his entire life. A manager with Convergys Corp, he enjoys reading, fishing, traveling, history and sports. Other novels include Groundswell, the sequel to Fish of Souls. The final novel in the trilogy, The Good Tools, will be available in early 2006. 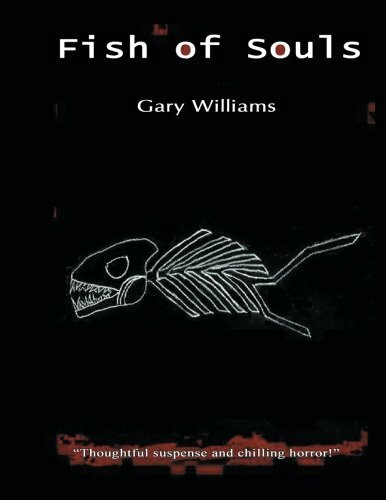 Please visit his Web site, www.authorgarywilliams.com for information regarding his work and upcoming novels. Comments are welcome and can be e-mailed to emailgwilliams@aol.com.